As a nonprofit arts organization, Dell’Arte relies on the generosity of our patrons, community, local businesses, sponsors and donors. At the heart of all we do is the sincere belief in the transformative power of theatre. 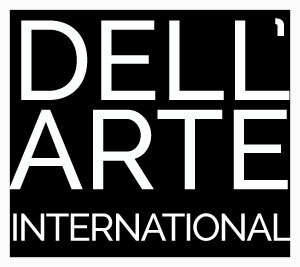 With your help, Dell’Arte will continue to work “around the world and down the block.” We believe theatre is not only a reflection of life, but a powerful meditation on life’s potentials. By donating to Dell’Arte, you recognize the central role that the arts play in our cultural development. Thanks in advance for remembering us the next time you have your checkbook handy, and we look forward to entertaining and enlightening you for years to come! If you’d like to make a tax-deductible monetary contribution to Dell’Arte using your credit card, please call us at 707-668-5663. Tax-deductible checks can be sent to us at the address below. if you want to support a specific intiative or program, please indicate that on your check. If you’d like to contribute to one of our two scholarship funds, Jane Hill Scholarship or Nancy LaFrenz Memorial Scholarship please specify on the donation page. On December 26, 2005, Nancy Jacobs Lafrenz succumbed to colon cancer. At the young age of 31, Nancy was an exceptional actor, a charming clown, a devoted daughter, a good friend and a loving wife. The Dell’Arte graduating class of 2002 needs your help to keep Nancy’s memory alive forever. Nancy’s classmates, in participation with The Dell’Arte International School of Physical Theatre and the Humboldt Area Foundation, have built a scholarship that is awarded annually in Nancy’s name. The Nancy Lafrenz Memorial Scholarship is awarded to one ensemble of Dell’Arte graduates to enable them to build a show for Dell’Arte’s annual Mad River Festival. This scholarship is open to any ensemble of graduating Dell’Arte students and will be chosen by instructors at Dell’Arte. This scholarship will enable young theatre artists to begin their professional careers. The scholarship is a trust fund, which ensures that it will be around indefinitely. That also means that your donation is 100 percent tax deductible. Thanks to the help of people like you, in 2010 Dell’Arte was able to produce “The Greatest Story Never Told” by Creatively Independent, a small theatre company of Dell’Arte alums. Nancy’s parents and husband were flown out to see the production, which included Zuzka Sabata, one of Nancy’s former classmates. This would not have been possible without Nancy’s scholarship. International grads benefit as well–Swedish alum Anna Svensson brought “The Forgotten King,” and in 2012 this scholarship allowed MFA alumnus Carlos Alexis Cruz to bring his Portland company, Teatro Pelu, to the Festival with “Suicide Note of a Cockroach.” 2013 brought “The Fish In My Head” with 7 alums to the Festival prior to a Fall tour. We’d love to ensure that this scholarship lives on. As the years progress, we must continue to raise money for this scholarship to make it larger in order to provide a greater award to graduating students. To help keep Nancy’s memory alive we ask that you make a donation today. Or you can make your check out to Humboldt Area Foundation and write Nancy Lafrenz Memorial Scholarship in the memo section of you check. If you have any questions about the Nancy Lafrenz Memorial Scholarship you can contact Dell’Arte at 707-668-5663 or the Humboldt Area Foundation at 707-442-2993. The Jane Hill Scholarship benefits student applicants who have demonstrated financial need. For more information you can contact Dell’Arte at 707-668-5663. One full-scholarship awarded annually in May to a non-U.S. Citizen with exceptional potential who has been accepted into the Professional Training Program or the MFA in Ensemble Based Physical Theatre. Paduan-born Carlo Mazzone-Clementi was a contemporary of Marcel Marceau, Dario Fo, and Jacques Lecoq and worked with them before making his pilgrimage to the U.S. in the 1950’s. With Jane Hill, Mazzone-Clementi co-founded Dell’Arte in Humboldt County based on the belief that creativity blossoms in an non-urban setting and that nature is the best teacher of the dynamics of theatre. This scholarship is funded in part by the Carlo Mazzone-Clementi Fund. For application information please contact our Director of Admissions, Matt Chapman. A $6000 scholarship awarded annually to an Irene Ryan Competition finalist or their scene partner at the KCACTF National Festival in Washington D.C. This scholarship is applied toward tuition for our one year Professional Training Program, or the first year of Dell’Arte’s three year MFA in Ensemble based physical theatre. This scholarship also includes a $2000 stipend that may be used to cover other costs associated with a student’s first year at Dell’Arte. One Full Scholarship for one of Dell’Arte’s summer workshops awarded annually to an Irene Ryan Competition finalist or their scene partner at the KCACTF National Festival in Washington D.C. This scholarship also includes a housing and travel stipend. For more information about our KCACTF scholarships please contact our Director of Admissions, Matt Chapman.